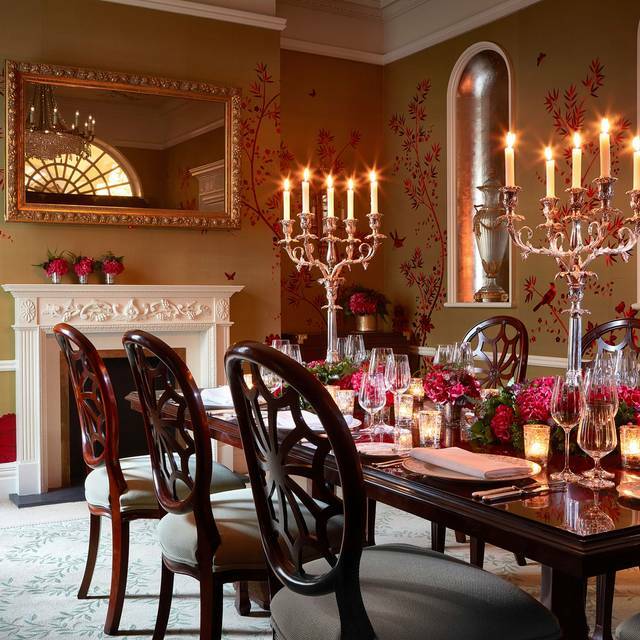 With a bright interior designed by David Linley, The Dining Room at The Goring provides an elegant setting for breakfast, lunch and dinner. 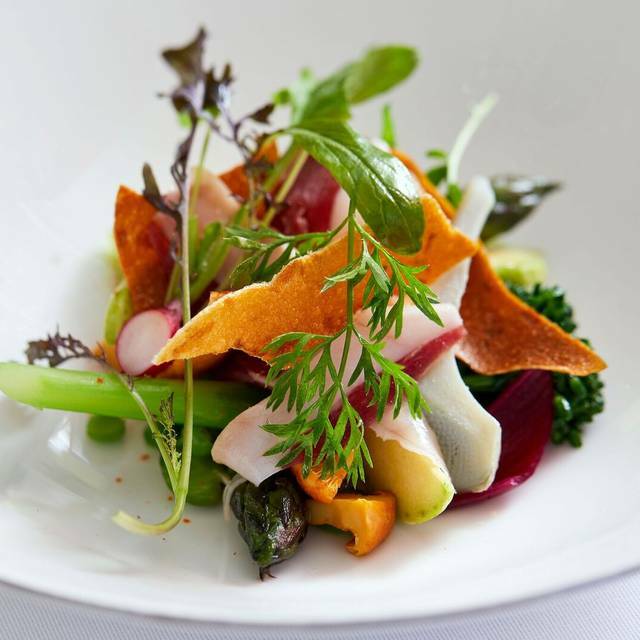 The menu of refined British food using the finest quality produce has attracted great interest on the London restaurant scene. Bathed in natural light by day, or sumptuously aglow with custom Swarowski chandeliers at night, this restaurant has a special ambience to accompany the fine cuisine. Alongside an extensive wine and Champagne menu carefully selected by the Head Sommelier, the Bar & Lounge offers an irresistible cocktail list. 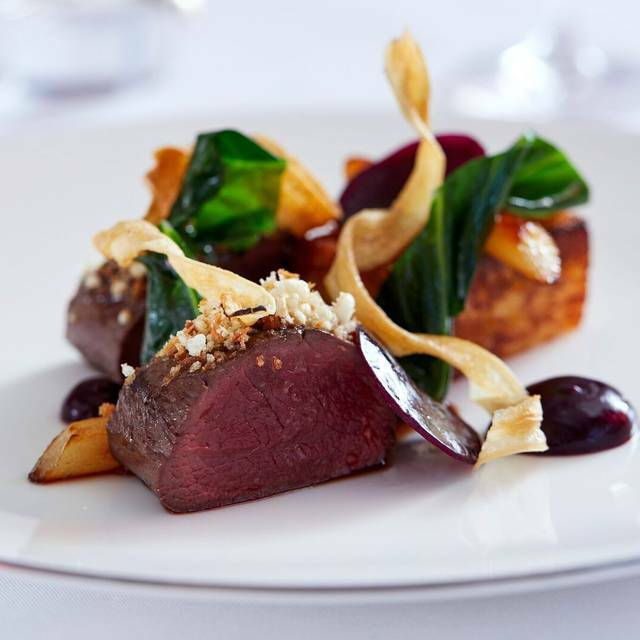 With a menu that boasts Romney Marsh lamb, glazed lobster omelette, Scottish halibut and Beef Wellington, The Dining Room offers inspiring, delectable British cuisine and an indulgent dessert menu to suitably round off lunch or dinner. Wonderful food. Open and bright dinning room. Service impeccable. Great offer from Open Table. Would recommend for a special occasion. First visit, was probably expecting something more, not sure what was missing, cant really put a finger on it. Service was fine, food was good ( waiter called gravy 'sauce' and needed much much more than the egg cup size we were given.) but overall ok. Cost as expected. Maybe dining room lacking in atmosphere, likewise the bar, had no background music which would have lifted the mood. Fantastic food, service and ambience. Our family party had a wonderful time and I’d definitely return. The most perfect evening ! One to always remember ! I’ve been wanting to go for months and now I wonder why I’ve left it so long. Thanks for the birthday complimentary cake. Dinner here made my birthday special. Delicious food and attentive staff in a beautiful setting. A memorable evening! How things change over time. 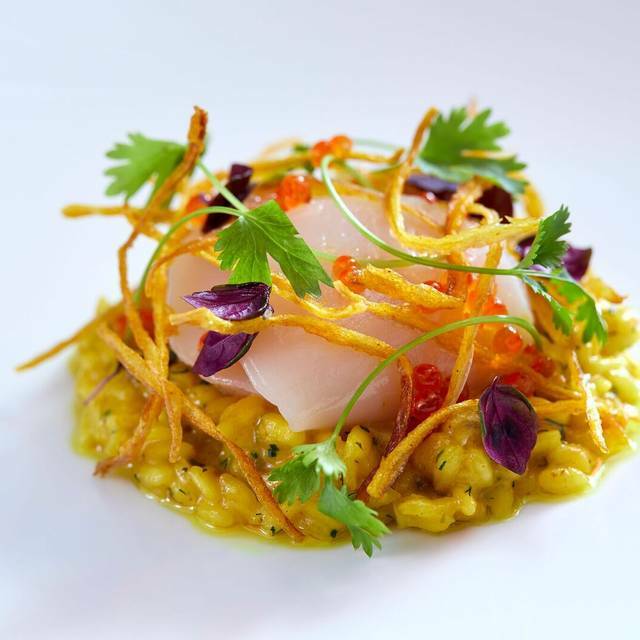 Not so long ago one would avoid eating in a London hotel restaurant - over priced, under-serviced and no taste. 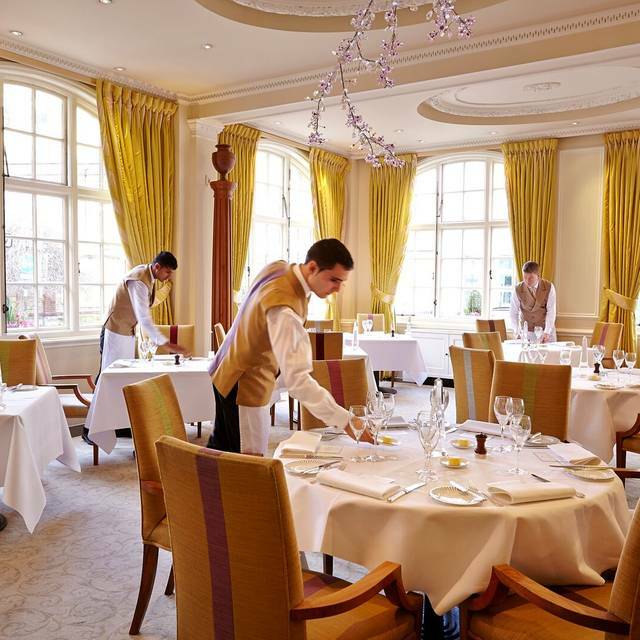 This past trip we ate only in hotel restaurants and while they were superb the clear standout was at The Goring. Everything about it was superb and we cannot wait to return. The highlight were the eggs Dumbkilbo! Best dinner we have ever had in London. This place is very posh and old school. The service was impeccable and every bite of our meals was scrumptious. I can’t wait to go back. What a wonderful dinning experience. The food was amazing and the service was over the top fantastic. The Goring is a true British Gem!!! Excellent experience start to finish. 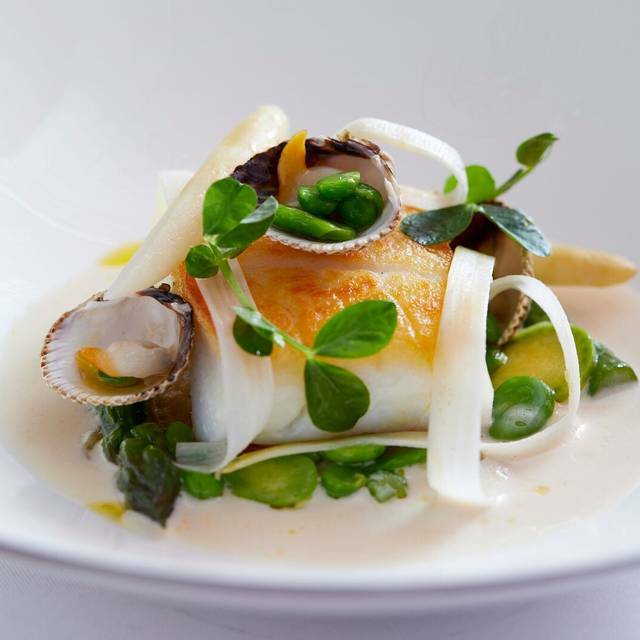 An enjoyable simple classic menu of British flavors delivered to a high standard. Excellent service, reasonable ala carte price, we did three courses, wine, coffee and petit fours, and a pre-dinner drink for £250. I had the lobster omelet which apparently was the Queen Mothers favorite. Dining room is intimate and beautiful. If your a fan of old English heritage and the royals you will love this place. My ONLY criticism, which I doubt they can do much about is the bright blue one way sign that you can see through the window at night! Other than that, a solid meal worthy of its star. 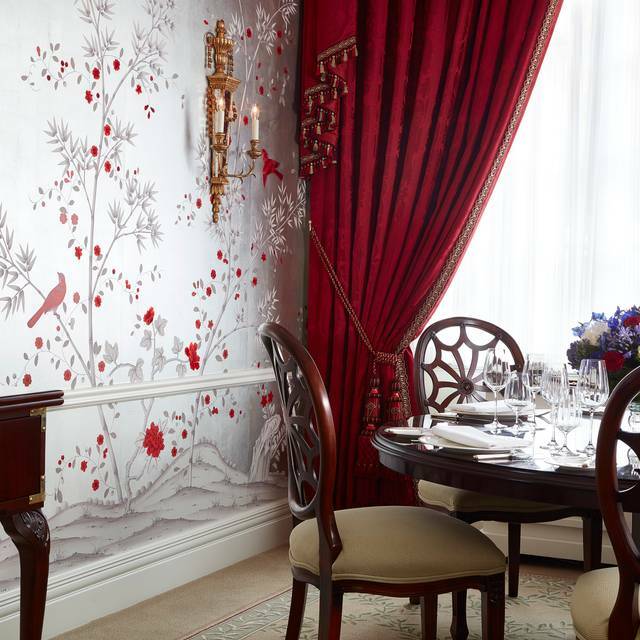 The dining room at the Goring is a British classic. 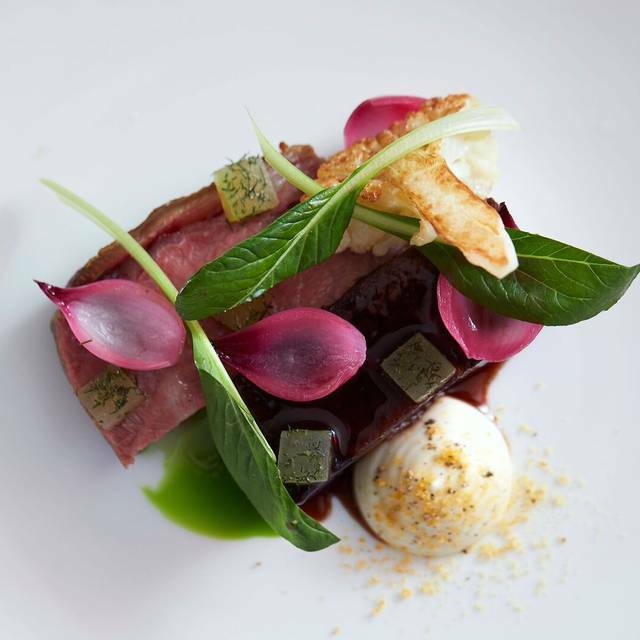 Quietly elegant ambiance, fresh ingredients, and traditional British cuisine at its finest. The wine list is comprehensive though astronomical at the high end. Allow two hours for dinner and linger. The cheese cart and Beef Wellington from the trolley compete with ambrosial smoked salmon as the best offerings. After dinner, adjourn to the even more elegant bar area for some tawny Port by the fireplace. Service is highly professional yet pleasant and welcoming. They also put on a wonderful afternoon tea service. Excellent Sunday lunch. Lounge is very cosy, staff were attentive but not overbearing, food was lovely. Best way to spend a rainy Sunday afternoon in London. We went for Sunday lunch. excellent service. The dining room is beautiful, very light and airy, tables are not close together. The egg drumkilbo was wonderful, very tasty. The lobster omelette was served in a copper pan, very rich. My husband had the roast beef and he said it was the best he had ever had. pricey but worth every penny. High quality professional hotel restaurant with great service ideally suited to business breakfasts or lunches. This is the perfect place to take someone for a special occasion. The food is excellent and is only surpassed by the outstanding service. You are truly made to feel that nothing is too much trouble. Before the dinner we were told the restaurant needs another 15 minutes for preparation. So we headed to the bar for a drink first. We took a seat at the balcony area and you would not feel like you are in the heart of London! One of the lady staff members at the bar learnt that it was the kids' birthday and she then prepared two Goring sheeps as gift! The restaurant also prepared for the kids with two pieces of chocolate cake with candles and birthday message on the plate. Thank you The Goring. I am sure I will be visiting again. The food was excellent and we enjoyed the most. However, it took 3 hours for 3 course so if you want to finish the meal quickly, this might not be the best restaurant. Anyway, I really enjoyed the food very well so I definitely come back. Disappointing experience. It is supposed to be a Michelen starred restaurant, and they served our starter with human hair in it. Service is poor, and dishes take for ever to be served. We started our Sunday lunch at 13:30, and finally finished (without tea/coffee because it was already taking too long) at 17:30. They were already out of sunday roast when we ordered. They were out of our preferred desert (when we finally got to ordering it around 16:00). The waiters were by then busy setting up the empty tables for dinner rather than serving the few remaining parties still waiting for their orders to come out. I told the manager to consider the fact that there was human hair in our starter before billing me; he charged for a 2 course meal instead of 3 course meal for 1 person who had the hair, and took 2 bottles of still water off our bill. I would have expected that he would take off the entire meal for 1 person as a way of showing apology! Not what you would expect from a Michelen starred restaurant. Very disappointing. Food excellent. Service very professional, but got slow in the late stages. 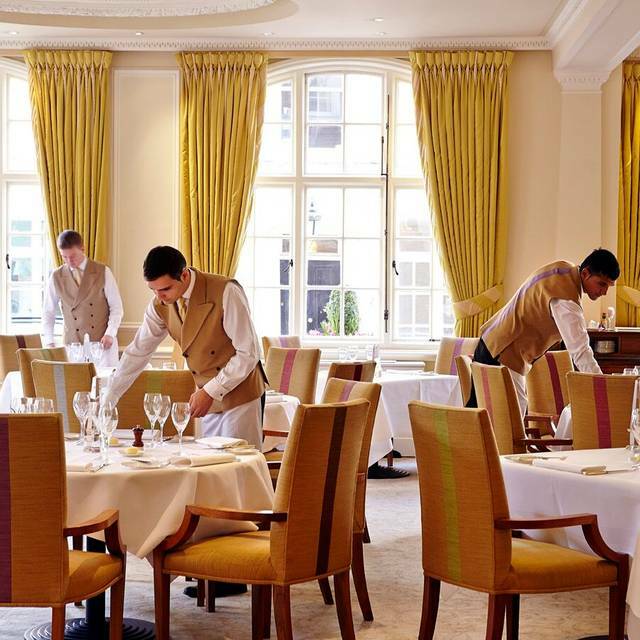 The Goring is very English, genteel, refined and above all has wonderful food. We all had the same things (Eggs Drumkilbo and Lobster omelette both of which are house specialities) and dod not regret it. Each dish was spot on. A good but expensive wine list provided a good accompaniment which worked well. Our favorite restaurant in London! Fantastic food, service and ambiance. I highly recommend it! The sommelier was excellent, as was the entire staff. Of particular note was the lamb - it was perfection. We had dinner pre-theater at the Goring and it was terrific. We were a few minutes early and they sat us at a beautiful table in bar overlooking the garden. They brought us menus while we enjoyed our cocktails so that we could look before we were seated since we only had an hour. Right at 6:00 they came to fetch us and showed us to a lovely table where food and service were flawless. We were stepping out the door at 7:00 on the dot and off to the theater. Well done!